Problem-Solving–It’s Not All About the Numbers! Many of the problem solving situations that I recognize in the world and in my classroom with my kindergartners are numerical. 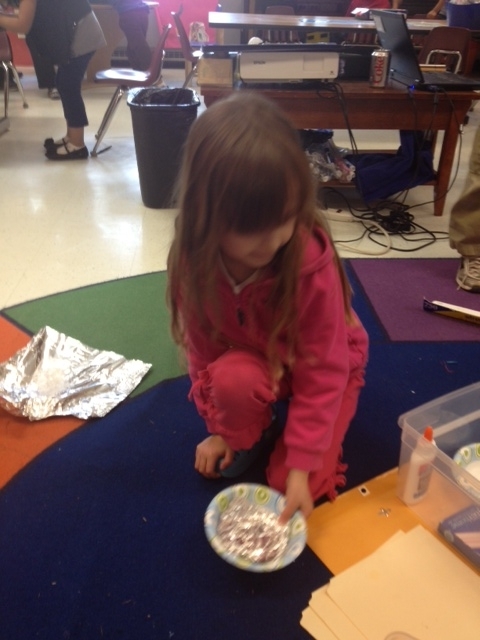 We wonder how to figure out how much birdseed the birds are eating from our window feeder. We figure out how many more days until our chick eggs hatch. We measure our pea plants in the garden with Unifix cubes and figure out how much they have grown. We wonder how tall they will be when summer comes. “Will they still be there when we are first graders?” someone asks. And while numerical problem solving is the center-piece of our mathematical lives and math workshop, we do a lot of problem-solving that is not entirely numerically focused as well. 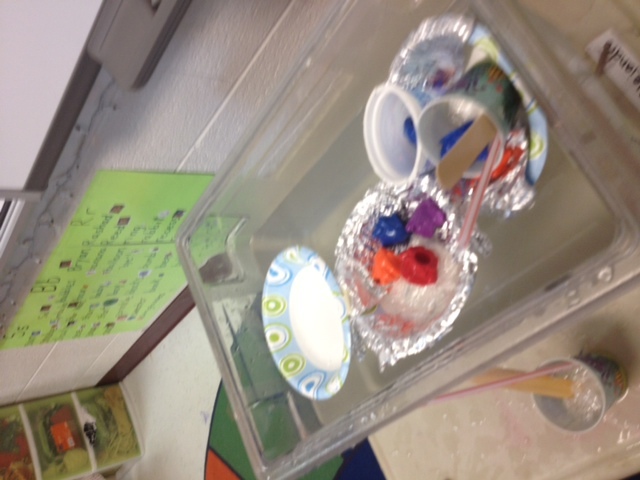 Recently we’ve been exploring water and why some things floats and others sink in water. 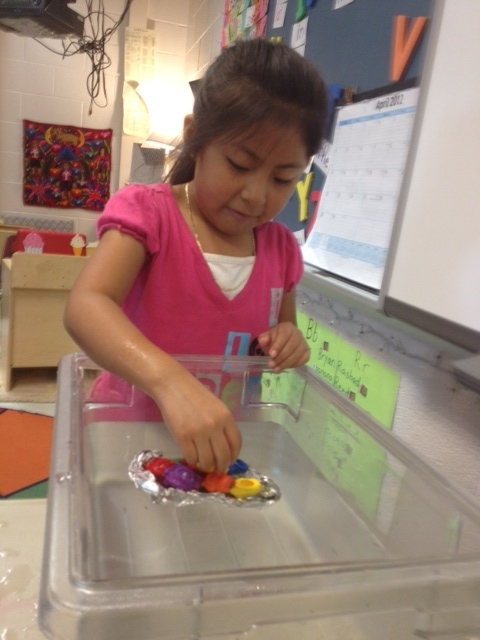 After investigating various materials that sink and float, we challenged children to construct boats that would float and carry a load of plastic frog manipulatives. This is more of an engineering challenge, and yet it involves many of the same problem solving skills we use when focusing on numeracy. We revise our thinking. 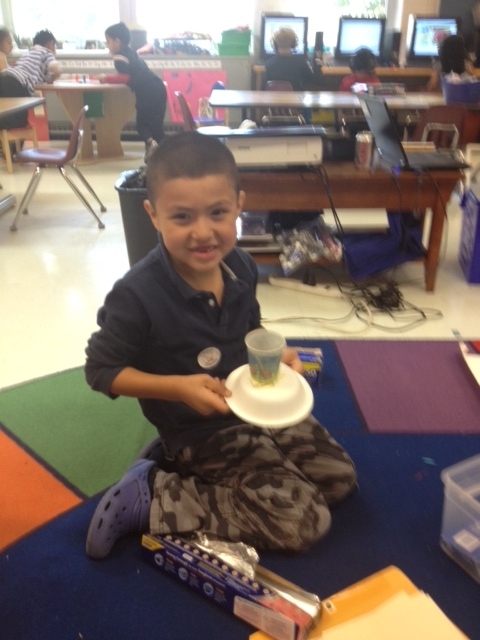 Alejandro thinks that if one if using one aluminum foil/paper bowl construction makes a pretty good boat (as measured by floating and carrying a good number of frogs), then his three bowl masterpiece will carry even more frogs. We collaborate and debate with other thinkers. Problem-solving extends beyond the numerical. 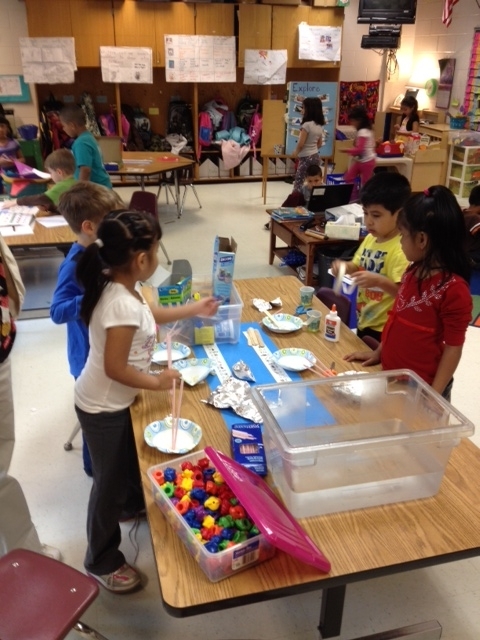 All kinds of problem-solving creates flexible, creative, constructive thinkers. How are you problem solving through the day? Thank you for positing your thoughts. Having a tool belt full problem solving strategies is helpful, with or without numbers. Amazing thinking. Thanks for sharing your ideas and helping me to think harder about the things we do in our day that can and do involve math. I appreciate the posts!